Heart Failure Treatments: What Really Works? Close to 6 million adults in the US have heart failure, costing the nation upwards of $30 billion in medical expenses each year. But are conventional heart failure treatments even effective? Let’s delve further into the causes and symptoms of this chronic condition—and look at the heart failure treatments that actually work. A weak and failing heart cannot pump with enough force to move blood around the body. It “congests,” and fluids seep through the blood vessels into the lungs, causing trouble breathing and shortness of breath. Fluids also accumulate in the abdomen and extremities, often resulting in weight gain and edema so severe that the skin may split. To keep blood circulating, the heart beats faster, the cardiac muscle gets bigger, and the chambers enlarge. But over time, this only makes matters worse. Diuretics help get rid of excess fluids, and beta-blockers and ACE inhibitors take some of the load off by slowing the heart rate, dilating the arteries, and increasing blood flow. Other mainstream therapies include stents, bypass, valve surgery, implanted defibrillators, mechanical heart pumps (left ventricular assist devices), and heart transplants. Nevertheless, half of patients die within five years of diagnosis. 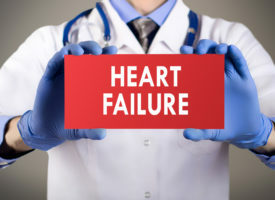 Heart failure is labeled an incurable condition, but I’m here to tell you it can be slowed and even reversed—if you’re willing to go beyond the blunt, toxic tools of conventional cardiology and consider alternative heart failure treatments. Just ask Cathey Smith. Five years ago, her ejection fraction (EF, a measure of the heart’s pumping ability) was life-threateningly low at 15 percent. Her entire body was swollen with fluids, and even eating tired her to the point of exhaustion. 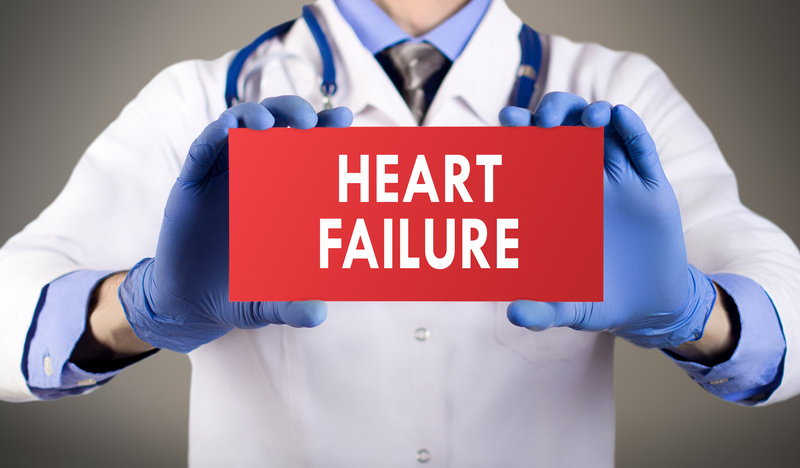 Conventional heart failure treatments were not helping. She was on a slew of medications, in and out of the hospital, and her doctors in Tennessee gave her no hope of recovery. Although she was warned against traveling, Cathey was convinced that treatment at Whitaker Wellness was her only chance. She arrived in a wheelchair, seriously ill with acute heart failure. After three weeks of treatment, her EF was 37 percent, and she was off half of her drugs and back on her feet. So much for “incurable.” Which heart failure treatments are responsible for Cathey’s remarkable turnaround? First and foremost is coenzyme Q10 (CoQ10), a naturally occurring compound required for cellular energy production. The failing heart is staved for energy, so it’s no surprise that CoQ10 levels are depleted. Supplemental CoQ10 simply provides a necessary component for generating energy. To emphasize just how powerful this supplement is, I want to tell you about Entresto, a prescription drug for heart failure approved by the FDA in 2015. Entresto was heralded as a “blockbuster,” “once-in-a-decade breakthrough” that would help millions of patients. Researchers found that when Entresto was used in place of an ACE inhibitor commonly used in heart failure, along with other medications such as diuretics and beta-blockers, there was a 20 percent improvement in patient outcomes. During the 27-month study period, 13.3 vs. 16.5 percent died of cardiovascular causes and 12.8 vs. 15.6 percent were hospitalized for heart failure. However, these results pale in comparison to those of a clinical trial on CoQ10 that came out around the same time. In this study, patients with moderate to severe heart failure took either 100 mg of CoQ10 or a placebo three times a day in addition to standard medications. After two years, the CoQ10 group had fewer cardiovascular deaths (15 vs. 26 percent) and hospitalizations for heart failure (8 vs. 14 percent)—an astounding 44 percent overall improvement. Although these were not head-to-head studies, both were randomized, controlled, multicenter clinical trials of similar duration, patient demographics, and disease severity. Both demonstrated improvements in symptoms and outcomes, but CoQ10 was twice as effective! As for cost and safety, they’re not even in the same ballpark. Entresto’s copay is around $10 per day compared to $2-$3 for 300 mg of high-quality CoQ10. And while the drug has a long list of adverse effects, CoQ10 is a natural compound found in every cell of your body. That Entresto is getting all the attention—worldwide sales are expected to reach $200 million per year—and CoQ10 is more or less ignored is testimony to our broken healthcare system and our disregard of natural treatments for heart failure and other health concerns. Cathey was also treated with magnesium, D-ribose, L-carnitine, taurine, and vitamin D as well as hyperbaric oxygen therapy (HBOT) and enhanced external counterpulsation (EECP), which also have proven benefits for heart failure. HBOT, as you can imagine, provides tremendous relief. The inability of the failing heart to deliver oxygen- and nutrient-rich blood is a significant cause of fatigue, organ dysfunction, and overall decline. Because HBOT saturates the cells with oxygen, even in the absence of adequate circulation, patients often report dramatic improvements. EECP gives the heart a much-needed rest and reduces fluid overload by squeezing blood up from the extremities and throughout the body. It also boosts nitric oxide release and enhances arterial health. A course of 35 EECP treatments has been shown to improve ejection fraction, exercise tolerance, and other markers of heart failure. Whitaker Wellness has been successfully treating heart failure with safe, noninvasive, and extremely effective therapies for nearly 40 years—and helped hundreds of patients like Cathey turn their lives around. Unfortunately, none of these remarkable treatments for heart failure have been adopted by conventional medicine. Heart failure may be tough to treat, but it can be prevented. Researchers from Tufts University followed 4,490 people over age 65 for up to 21 years and found that those who engaged in daily physical activity, watched their weight, didn’t smoke, and drank moderately had half the risk of developing heart failure as those who had unhealthy lifestyle habits. Another long-term study determined that men and women who were free of hypertension, diabetes, and obesity at age 45 were 73-85 percent less likely to develop heart failure. Other preventive measures include getting a handle on coronary artery disease, thyroid disorders, and sleep apnea—a serious but overlooked risk factor. At Whitaker Wellness, we also test and treat heavy metal toxicity, which can damage the heart muscle, and get patients off medications linked with heart failure, such as oral diabetes drugs (including Actos, Avandia, and Januvia) and cholesterol-lowering statin drugs. And everyone, regardless of health status, should be taking CoQ10 to protect their heart. Rates of heart failure are on track to double in the next 20 years—an estimated one in five people will develop heart failure! Act now so you won’t need these heart failure treatments in the future. Suggested supplements include coenzyme Q10 (preferably ubiquinol) 300 mg, magnesium 1,000 mg, D-ribose 10 g, L-carnitine 2,000-4,000 mg, taurine 2,000 mg, and vitamin D 5,000 IU (or to optimal blood level). Take in divided doses. To learn more about receiving hyperbaric oxygen, EECP, and other heart failure treatments at Whitaker Wellness, call 866-944-8253 or fill out this form for a complimentary consultation with one of our friendly and knowledgeable Patient Services Representatives.